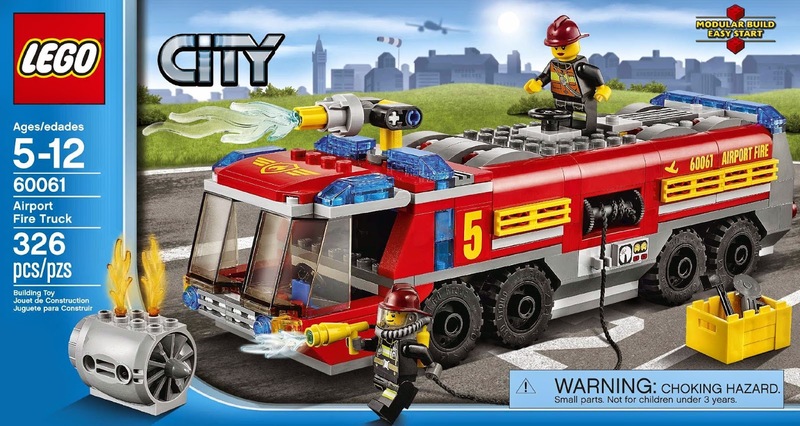 come with an airport fire truck and a jet engine. 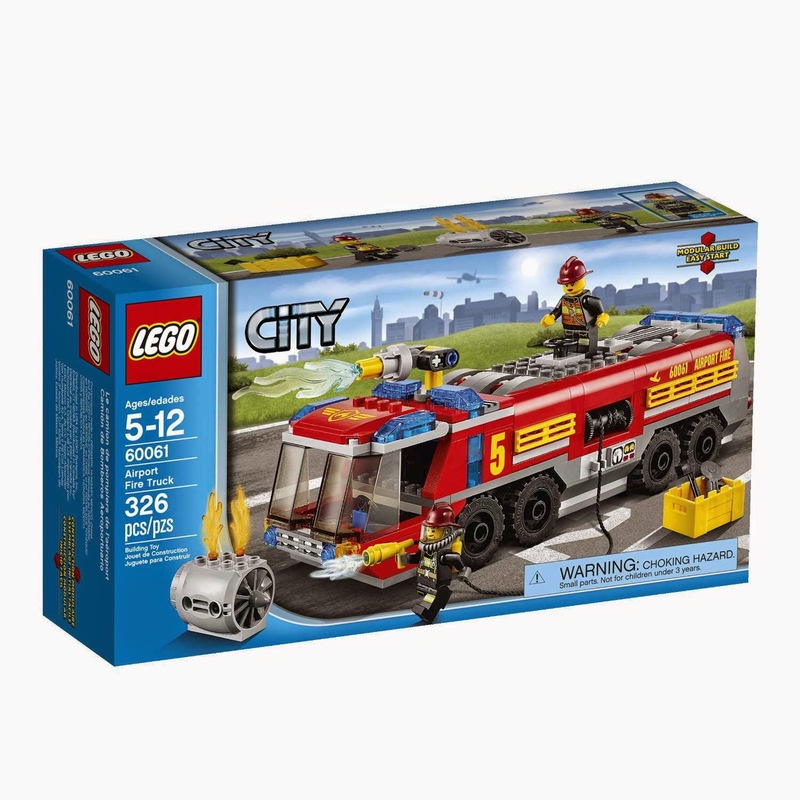 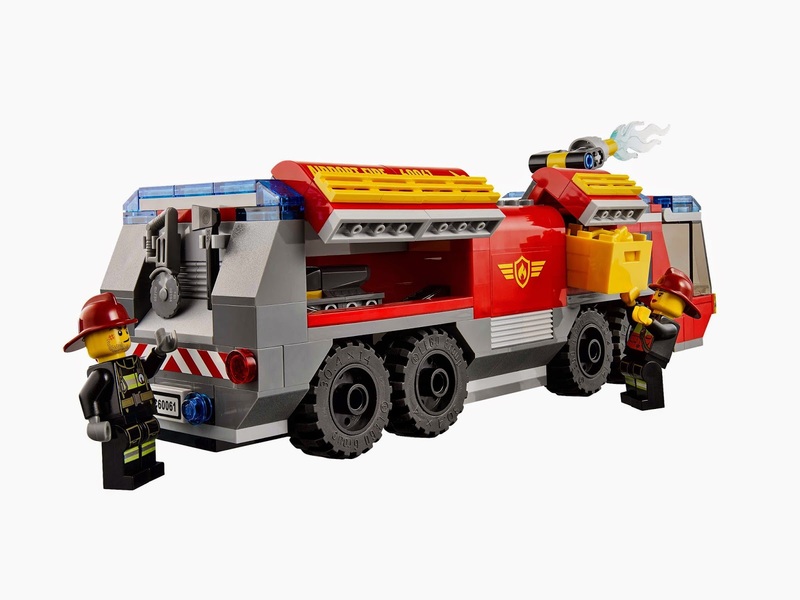 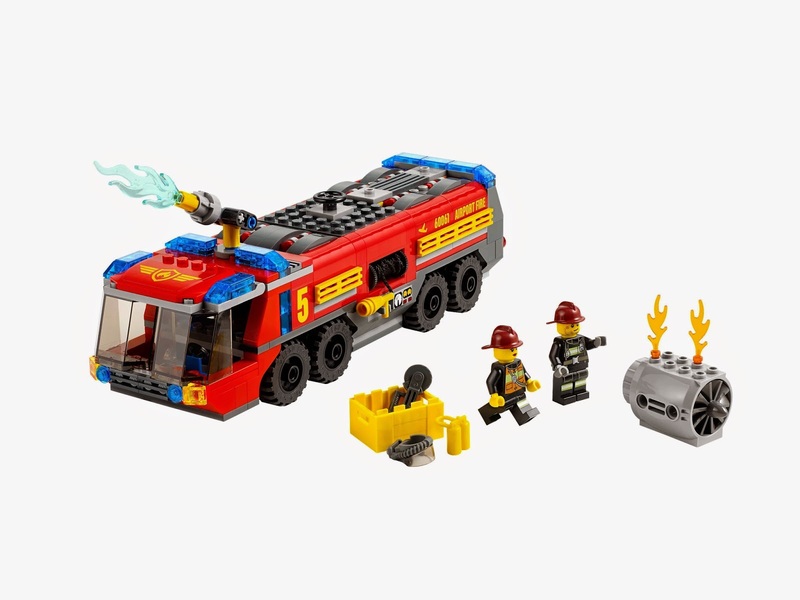 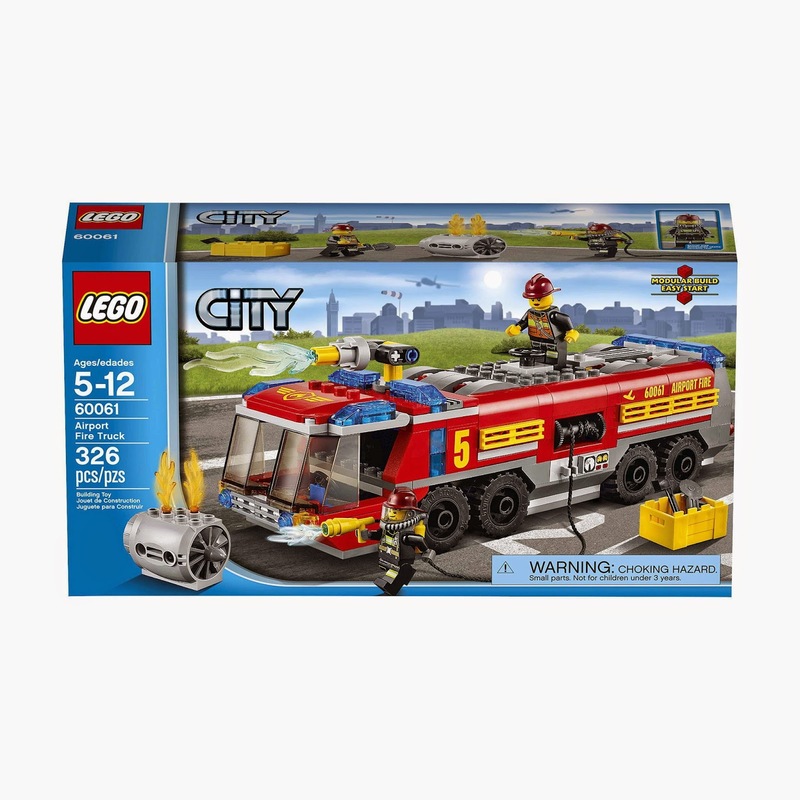 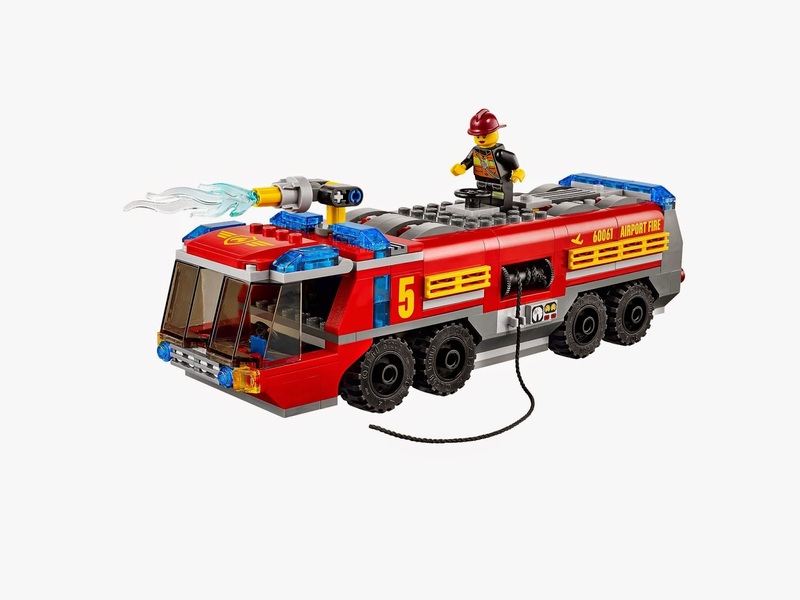 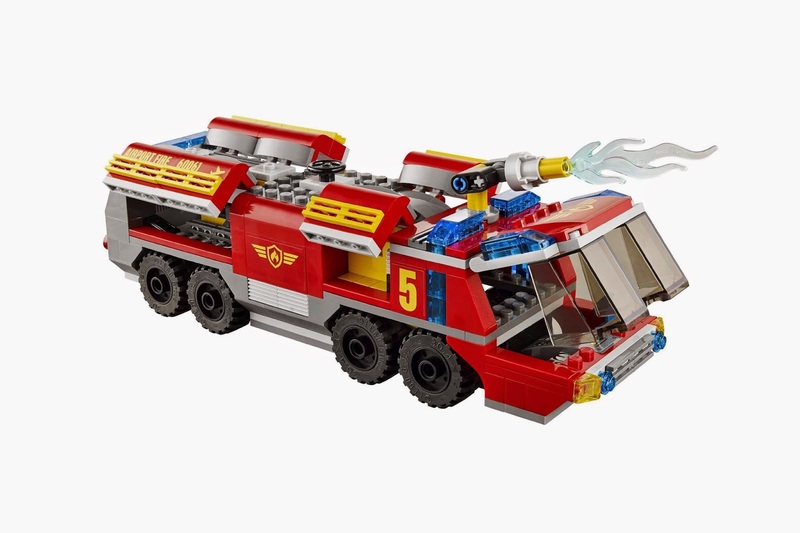 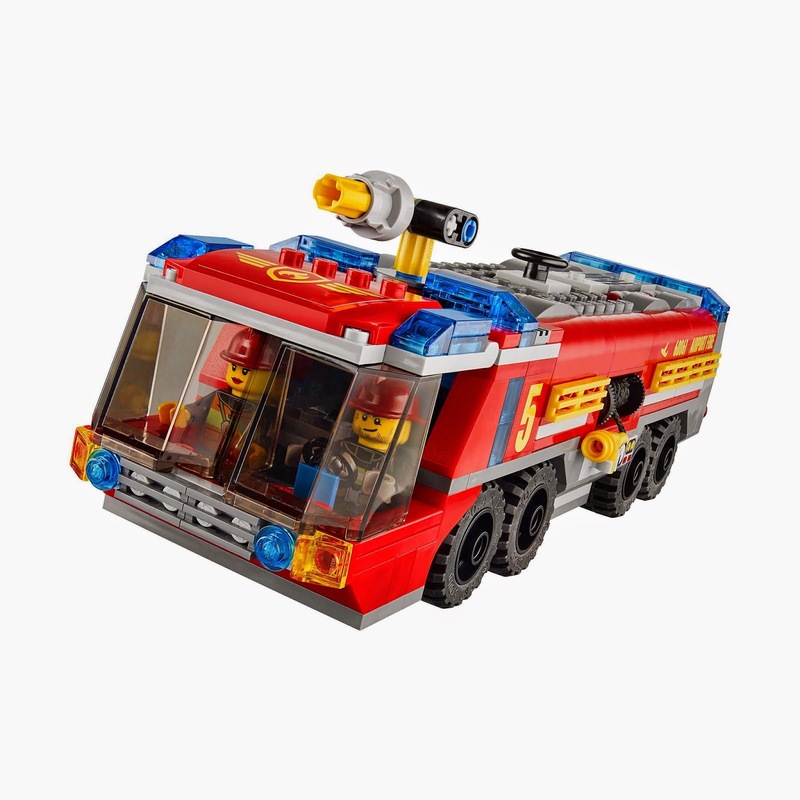 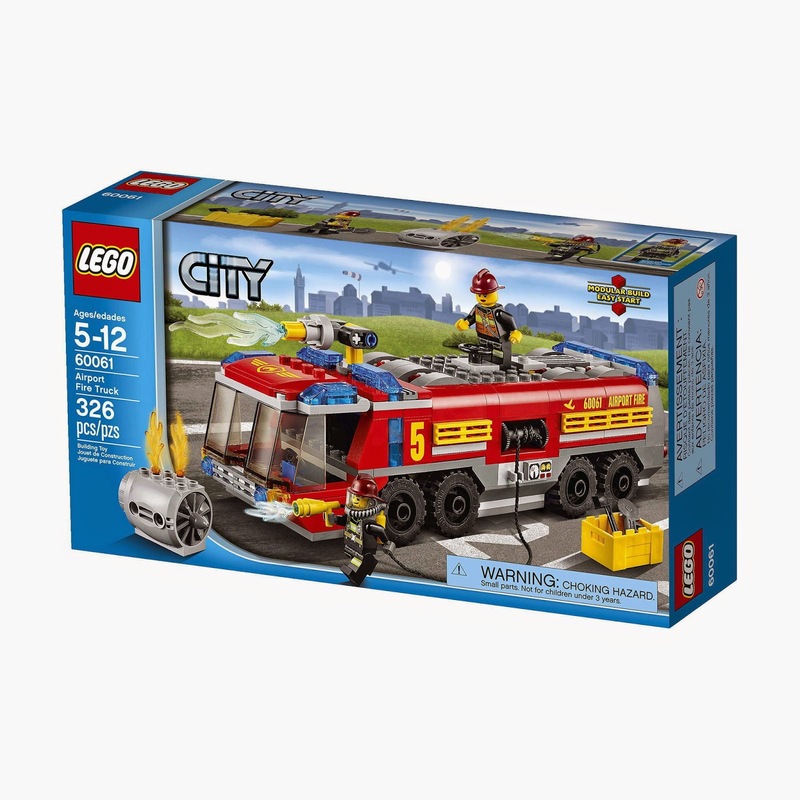 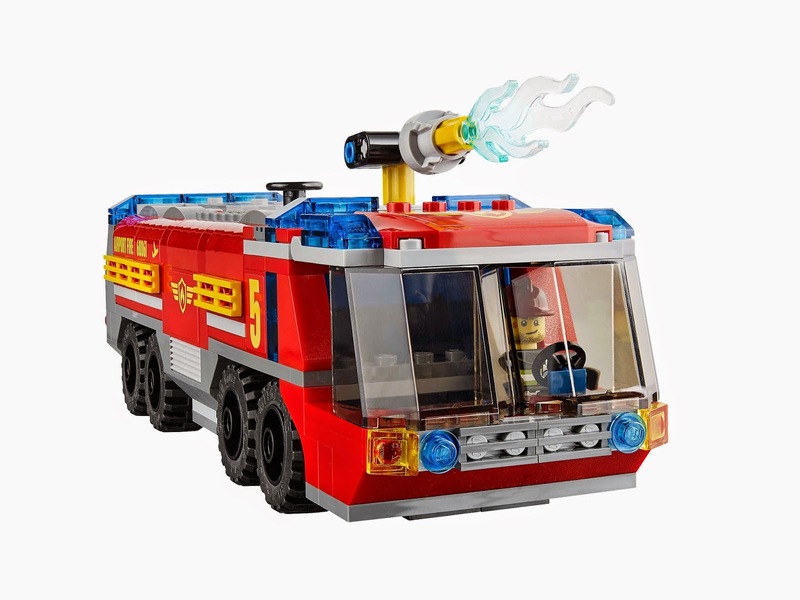 the truck has an openable front cockpit, a rotatable top mounted water cannon, a fire hose and openable rear and side hatches. 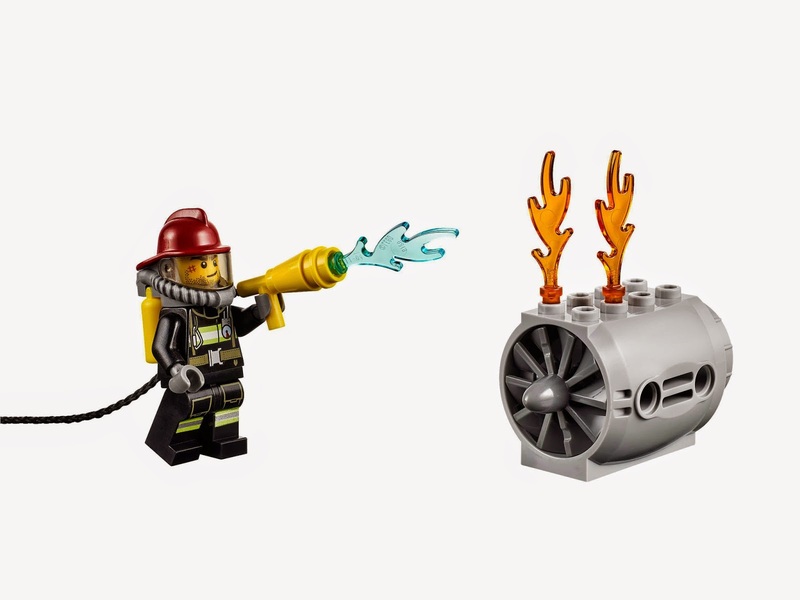 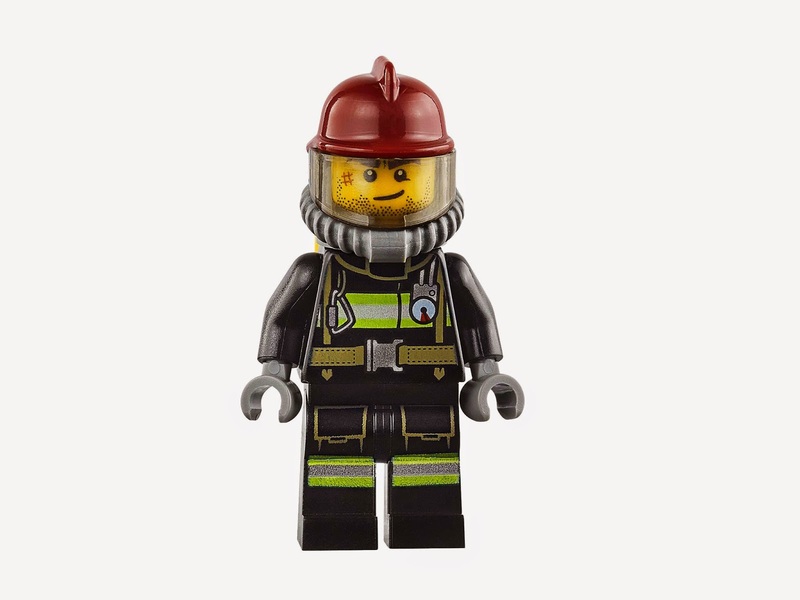 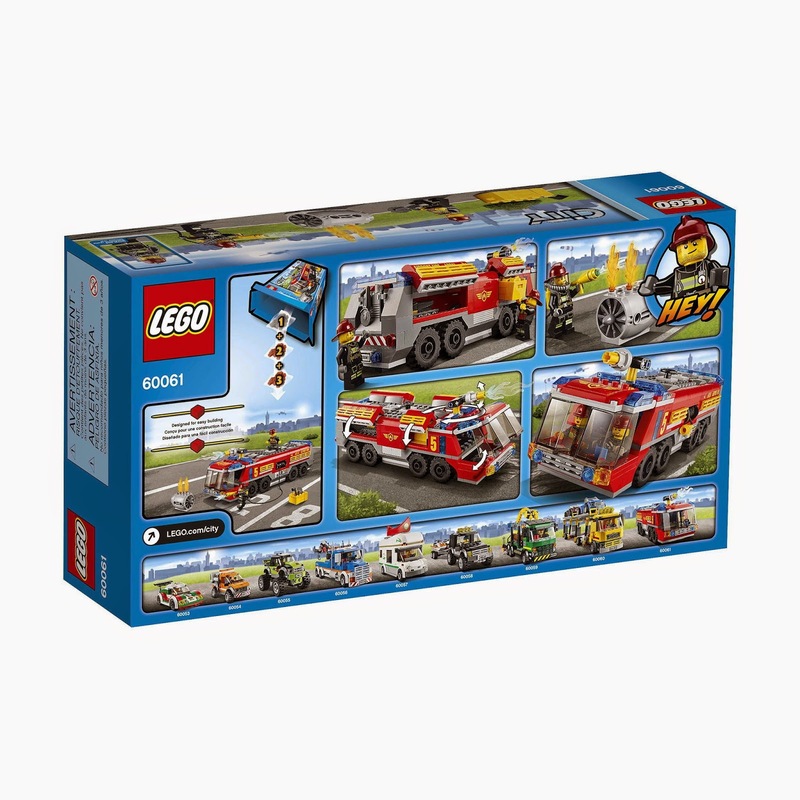 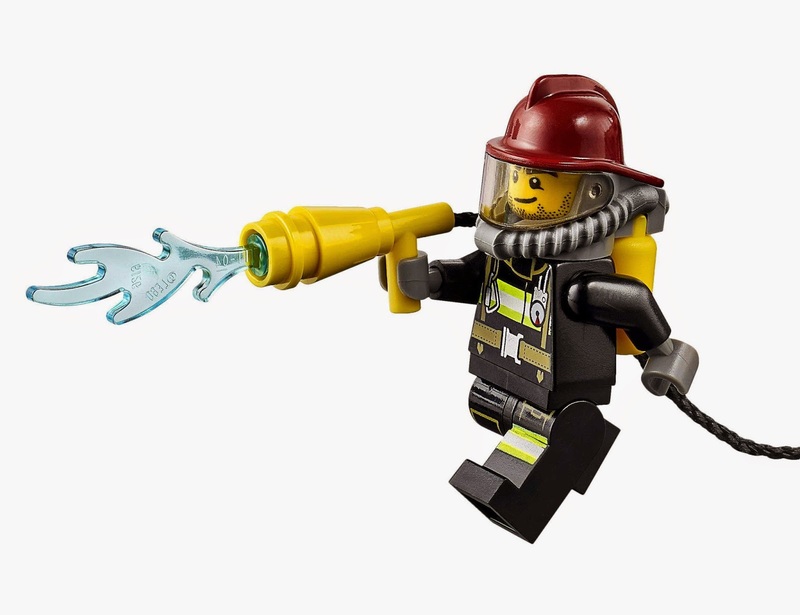 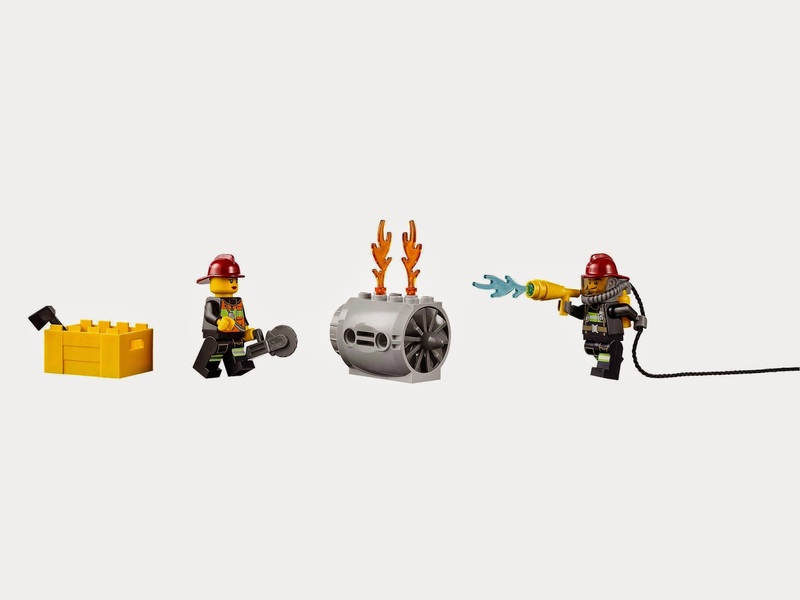 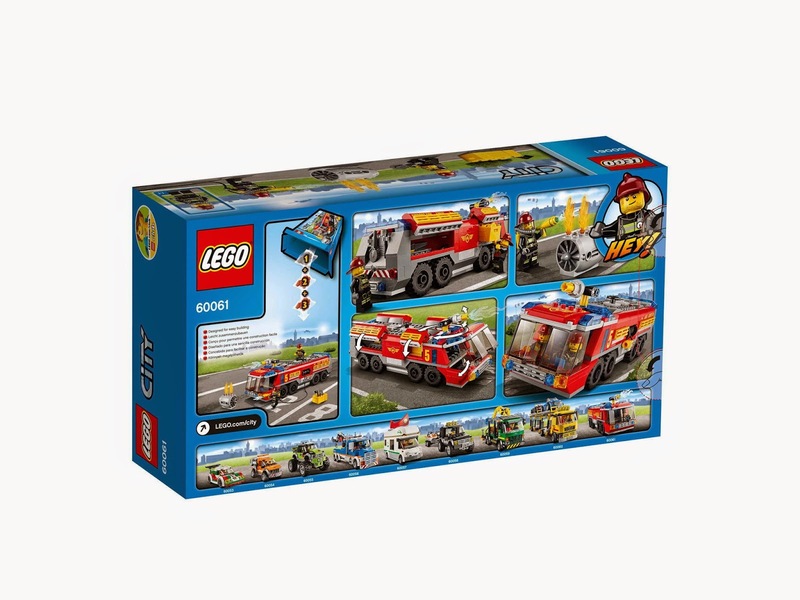 minifigs included a fireman minifig and a firewoman minifig.